Peter Lang Inc., International Academic Publi, 9781433131103, 368pp. What does it mean to be white in a society that proclaims race meaningless, yet is deeply divided by race? In the face of pervasive racial inequality and segregation, most white people cannot answer that question. 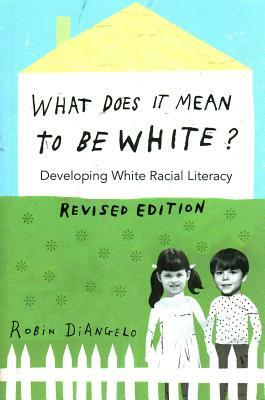 In the second edition of this seminal text, Robin DiAngelo reveals the factors that make this question so difficult: mis-education about what racism is; ideologies such as individualism and colorblindness; segregation; and the belief that to be complicit in racism is to be an immoral person. These factors contribute to what she terms white racial illiteracy. Speaking as a white person to other white people, DiAngelo clearly and compellingly takes readers through an analysis of white socialization. Weaving research, analysis, stories, images, and familiar examples, she provides the framework needed to develop white racial literacy. She describes how race shapes the lives of white people, explains what makes racism so hard to see, identifies common white racial patterns, and speaks back to popular narratives that work to deny racism. Written as an accessible overview on white identity from an anti-racist framework, What Does It Mean to Be White? is an invaluable resource for members of diversity and anti-racism programs and study groups, and students of sociology, psychology, education, and other disciplines. This revised edition features two new chapters, including one on DiAngelo's influential concept of white fragility. Written to be accessible both within and without academia, this revised edition also features discussion questions, an index, and a glossary. Robin DiAngelo received her PhD at the University of Washington, where she was twice honored with the Student's Choice Award for Educator of the Year. Her concept of white fragility has influenced the national discourse on race. She has published widely in both mainstream and academic venues.